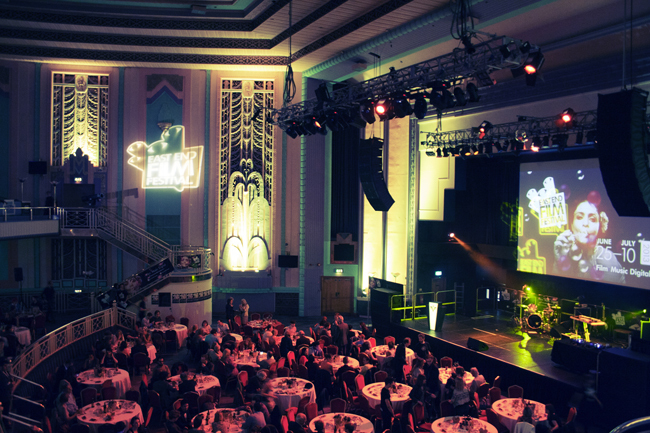 Founded in 2000, the East End Film Festival is one of the UK’s largest film festivals. An annual multi-platform festival held in London, the EEFF presents a rich and diverse programme of international premieres, industry masterclasses, free pop-up screenings and immersive live events. The EEFF’s mission is to discover, support, and exhibit pioneering work by global and local independent filmmakers, and to introduce viewers to innovative and challenging cinematic experiences. Attracting an annual audience of more than 30,000, the EEFF has established itself as a major international film festival situated at the heart of London’s most dynamic quarter. Committed to the work of first and second time directors, the annual EEFF showcases more than seventy feature film screenings, several short film programmes, and a variety of cross-arts events and industry activities across the festival. The EEFF’s established awards system includes: Best Feature (reserved for first and second time directors); Best Documentary; Best UK Short Film; and the EEFF Short Film Audience Award. 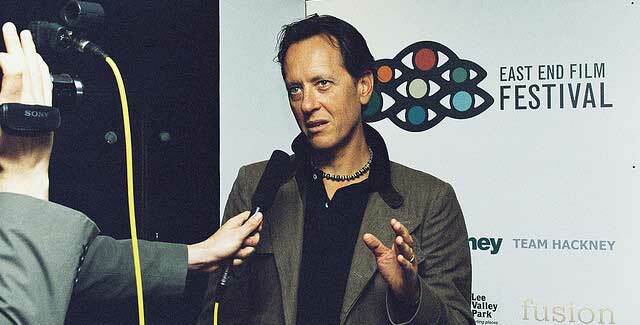 The EEFF 2013 jury featured Peter Bradshaw, Sally El Hosaini, Armando Bo, Nic Gonda and Divine & RZA. The EEFF boasts large audiences, ever increasing industry support, high levels of international press coverage, and a large and incredibly diverse range of partnerships with organisations such as Amnesty International UK, Sheffield Doc/Fest, World Pride, Digital Shoreditch and Film London. The festival received unprecedented levels of attention in 2013, showcasing films to diverse, engaged audiences in record numbers. SUBMISSIONS FOR EEFF 2015 ARE NOW OPEN! The East End Film Festival accepts all UK and international titles irrespective of length or genre. This includes, but is not limited to: fiction, documentary, music film, animation and experimental work. All submissions must have been completed after the 1st of January 2014. Feature submissions must not have previously been released in the UK on any format. Whilst the EEFF does not have a specific premiere restriction on submissions, premiere status will be a factor in decisions taken by the programming team, and may comprise a specific condition of an invitation to screen at the festival. Four years ago the festival began charging fees for its film submissions. The decision to charge filmmakers was not an easy one, but sadly without this renumeration the EEFF would not be in a position to administrate and exhibit the level of submissions that it receives each year. The festival have endeavoured to keep submission costs as low as possible, and continues to offer free submission to residents of Tower Hamlets. Proof of address will be required. Please see guidelines and procedures for further information. Please note that all shipping and postage costs to and from the festival must be borne by the submitting party, including those for the submission package and, if the film is selected, for all prints, tapes and additional materials sent to and returned from EEFF. EEFF will not accept COD shipments and will not absorb any fees incurred in British customs. Films can be delivered and collected by hand from the festival office by arrangement.